BREAKING: Tyler Mook, husband of missing Bedford County teacher Shelly Mook, was arrested in Florida after he allegedly tried to kill his girlfriend by pushing her off a boat and trying to drown her. Shelley Mook's car was found burned in Rutherford County in February 2011. The case is still open, but another is closing in on Mook's former husband and suspect of interest. According to the affidavit, Tyler Mook was first arrested for domestic assault, then upgraded to attempted first degree murder. Mook was boating near Sandsprit Park with his brother, Andrew Mook and their girlfriends. An argument occurred after Mook's girlfriend told him to slow the boat down. Tyler tried to rip off his girlfriend's bikini top, threw her into the water and then followed her in. At that point, he tried to hold her head under the water to drown her but she was able to fight her way free. Andrew Mook said he jumped into the water and had to put his brother in a choke hold in order to keep Tyler from the girlfriend, who he has been in a relationship with since 2012. A passing boat picked up the victim. Martin County Sheriff, William Snyder says the case is not linked to Shelley Mook's but his office is working with Tennessee Investigators like Bedford County District Attorney, Robert Carter. Robert Carter says, "The Tennessee Bureau of Investigation is working with the folks in Florida. Primarily if they need someone here in Tennessee, or they need witnesses we are happy to find them. It's those types of things that we are able to provide and that's what we're doing." Carter says it gives hope, but they are dealing with the facts and evidence they have right now. Carter says, "It's never a good idea to jump to conclusions and make assumptions about any case, in the Florida case, Tennessee case or any other case. But we will see and its opportunity and we will take advantage of it." Tyler Mook is being held on $100,000 bond. Shelley Mook's mother released this statement to Fox 17 tonight regarding her reaction to Tyler Mook's arrest: "I want the hurt to stop for those that have, and are still effected by the acts of one person. Strength be to those who will stand and have their voices heard.. It is by those voices that justice will come. By those voices healing can begin.. closure can be sought.. and faith in others can be restored" - Debra Sikora ALSO READ A PREVIOUS REPORT BELOW: NASHVILLE, Tenn. - New leads are giving new hope to the family of a missing Bedford County woman. Shelley Mook disappeared nearly three years ago, and TBI investigators are now examining new evidence. The TBI is searching a van owned by the neighbor of Shelley's husband, Tyler Mook. Investigators say Tyler is a person of interest in the case. The search for Shelley Mook has taken years. People have been looking for the former teacher ever since her car was found burned in February 2011. There is now a new lead. "Anything that they find that may be of some evidentiary value, that is what we're looking for," says TBI Executive Officer Illana Tate. The TBI won't say what led them to the neighbor's van, or how it might be connected. It is good news to Shelley's mother Debbie Sikora, who lives with Shelley's nine year old daughter Lily in Pennsylvania. "It is very important for me as a mother, and for Lily as my daughter's daughter, to know where she is," says Debbie Sikora. Shelley Mook's case is important to many in Bedford County. There have been vigils and walks to make the public aware of this and other missing person cases. Jesse Julien has helped organize those events. "I'm hoping that this is going to be one of the breaking leads, and hopefully serve justice to someone," says Jesse Julien. TBI investigators confirm this case is open and active. "We want to leave every stone turned over to see what we can find, and this is just one of those things," says Illana Tate. Shelley Mook's mother hopes one day she'll know what happened to her daughter, and she believes this new lead offers a chance for justice. "And hopefully all of this will tie together and finally will bring this to a resolution," says Sikora. It may take several days for investigators to finish processing the van. Investigators tell us Tyler Mook has moved out of Tennessee and is now living in Florida. This website has been created to give news updates on the ongoing search and to accept any donations to help aid in the search and return of Shelley to her daughter, family, and friends. Shelley Lynn Jones Mook is a beloved daughter, mother, sister, family member, and friend of many many people. 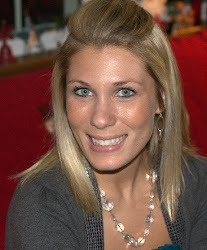 She is a native of Erie, PA and moved to Tennessee with her now ex-husband Tyler Mook. The two have a daughter, Lilliana Irene Mook. 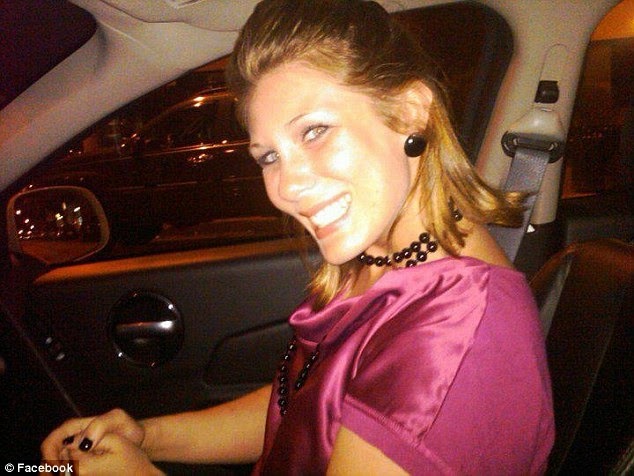 Shelley was last seen by her ex-husband on Monday, February 28, 2011 between 3:00pm and 4:00pm in Shelbyville, TN. Her car was found engulfed in flames 20 feet from a route just outside of Murfreesboro, TN later that evening. There has been no sign of her since. TBI's Kristin Helm has consistently stated that Tyler Mook "is still very much a person of interest. He has never really cooperated with our agents as far as sitting down and giving them an interview about the last time he saw her". Helm has also previously stated that Mook has not been cooperative: "Anytime you have someone who is not really helping you who may have been the last person to see someone. That makes it difficult as well". Helm also previously stated that Mook "is the primary person of interest in this case". Tyler Mook, his lawyers, and his entire family have refused to comment or assist in the search for Shelley Jones Mook. If you have any information that would be helpful in finding Shelley please call 1-800-TBI-FIND. $20,000 reward for information leading to whereabouts of Shelley Jones Mook.